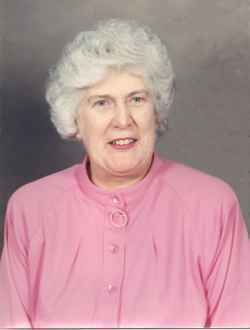 Georgia – Betty Edith Mae (Benoit) Irving, a longtime area resident passed away Saturday evening, February 11th, 2017, at the St. Albans Healthcare & Rehab Center. She was born in Montreal, Quebec on July 12th, 1924, the daughter of the late Carl and Gertrude (Corbin) Benoit. Betty was 92 years old. On May 21st, 1949, in St. Lambert, Quebec, Betty married Canon Stanley H. Irving, former Rector at St. Luke’s Episcopal Church, who survives her. In addition to her husband of 67 years, Stanley, of Georgia, Betty is also survived by her son, Stephen Irving and his wife, Jeanene, of Georgia; her grandchildren, Adam Irving and his wife, Meghan Irving, Michael Rocheleau and his wife, Janine Cotrel-Rocheleau and Kristin O’Grady and fiancé, Andrew Way; great grandchildren, Ella O’Grady, Avery and Wade Rocheleau; son-in-law, Steven Rocheleau, of Fairfax; sister-in-law, Audrey Domarcki, and several nieces and nephews. Betty was predeceased by her parents, her daughter, Janice Rocheleau, daughter-in-law, Sandra (Perry) Irving and grandson, Andrew Irving. A funeral service will be held on Friday, February 17th, 2017, at 11:00 AM at St. Luke’s Episcopal Church, corner of Fairfield and Church Streets, St. Albans. Father Craig Smith will celebrate the Burial Office and Eucharist. As an alternative to flowers, memorials may be made in Betty’s name to the St. Albans Health Care & Rehab Center, Alzheimer’s Unit, 596 Sheldon Road, St. Albans, Vermont 05478 or American Diabetes Association, New England Chapter, 10 Speen Street – 2nd Floor, Framingham, Massachusetts 01701 or American Cancer Society, 55 Day Lane, Williston, Vermont 05495. Assisting the Irving family is the Heald Funeral Home, where an on-line guest book for Betty is available at www.healdfuneralhome.com.